Hygood | Haven Fire & Safety L.L.C. 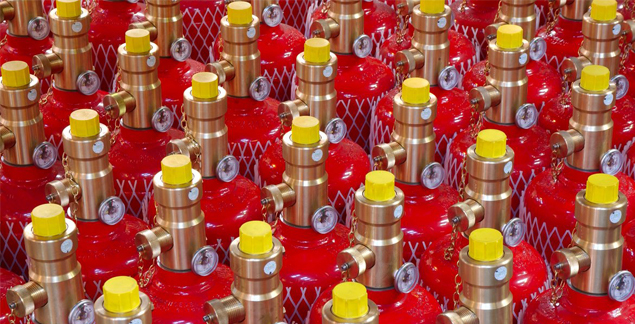 Macron safety Systems (UK) Ltd, the International trade supplier of fire protection products and systems is a part of the global fire protection group, Tyco Fire Protection Products. Totally committed to meeting the demands of a market dedicated to safeguarding life and property, you can be sure Macron will provide superior quality products, meticulously manufactured to the highest specification and controls. Hygood clean agent systems are internationally accepted as providing ideal fire protection solutions for people, property and the environment. Hygood FM200, Sapphire and i3 Inert gas systems with i-flow technology are a trusted choice in clean agent fire protection, perfectly suited to where disruption has to be minimised and survivability of the business is critical. Hygood systems utilise genuine FM200 gas manufactured by DuPont, Novec 1230 Fire Protection Fluid from 3M and provide full traceability of the original gas fill, thus giving peace of mind to the end user. Haven Fire are fully Manufacture trained in the design, supply, installation and commissioning of Hygood clean agent fire suppression systems.